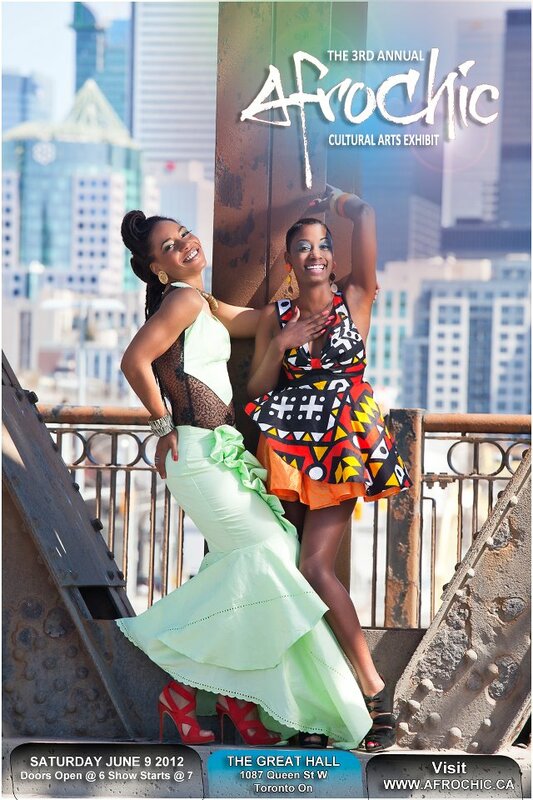 AfroChic is set to host our 3rd Annual Afrochic Cultural Arts Exhibit and we're going all out! On Saturday June 9th, arrive dressed in your most chic outfit and join us at The Great Hall (1087 Queen St. W.) for an evening to celebrate style and entertainment. Witness our city's shining talent in musical performance, dance, visual art, vendors and the much anticipated fashion runway. This is an all ages event. Visit our website, afrochic.ca, for a full list of performers. Doors open at 6PM and showtime runs from 7PM-10PM. Get your advanced tickets here for $20, as it will be $25 at the door. For partnership, sponsorship, media and other inquires please email info@afrochic.ca.